Israeli novelist David Grossman is working with Algerian writer Boualem Sansal to launch a writers’ drive for world peace at the World Forum For Democracy in Strasbourg this week. Their initiative is reportedly supported by some of the most respected names in literature including Claudio Magris, Antonio Lobo Antunes and Liao Yiwu. The writers - in their quest to end conflict and bring peace to the world - have naturally included the resolution of the “Israel - Palestine conflict” within their purview. However the views they express are indeed surprising - parroting Arab propaganda rather than relying on careful research - the indispensable tool normally used by writers of such distinction and undoubted repute. All the Palestinian Arabs residing in Gaza are under the total administrative and security control of a Hamas dominated Government following Israel’s unilateral withdrawal from Gaza in 2005. Our well intended authors are also apparently unaware that pursuant to arrangements mutually negotiated between Israel and the Palestinian Authority (PA) under the 1993 Oslo Accords - 55% of the Palestinian Arabs residing in the West Bank are under the total administative and security control of the PA Government - whilst another 41% are under the total administrative control of the PA Government and joint security control of the PA and Israel. Elections in the West Bank and Gaza were last held in 2006. Since then Hamas and the PA have been at each other’s jugulars. President Abbas’s use by date as PA president expired in 2009. Democracy is nowhere to be seen. "It is urgent that the international community intervenes firmly to bring the Iranian nuclear programme under control and steadily commits to the resolution of the Israel-Palestine conflict, pushing the parties to immediately establish a true direct dialogue, leading as soon as possible to the creation of a Palestinian state next to the State of Israel, both with secure borders, on the basis of painful compromises for both parts though necessary for peace, as the abandonment of settlements or their exchange against land, the renouncement to the right of return of the 1948 refugees, the sharing of Jerusalem. This is still – but maybe not for long - a possible solution and there are men and women on both sides capable of achieving it. Let us help them do so." Our well-meaning authors seem to be ignorant of the fact that Israel in 2001 and 2008 offered to cede its claims to more than 90% of the West Bank and agreed to a part of Jerusalem becoming the capitol of a Palestinian Arab State - but such offers were rejected. Even land swaps were broached in the latter offer. 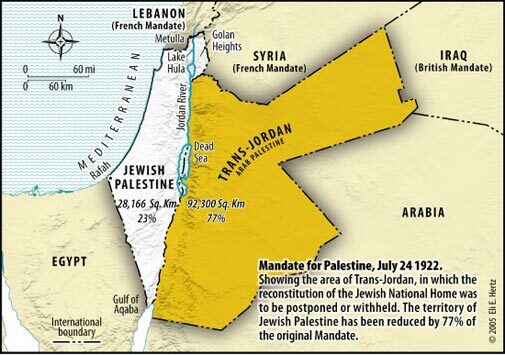 They also seem to overlook that what the Palestinian Arabs demand today could have been theirs - plus more - at any time between 1948-1967 with the single stroke of an Arab League pen - after all the Jews living there had been driven out. Why the need for a state now when one was not demanded during those 19 years - and indeed rejected in 1937 when recommended by the Peel Commission or in 1947 when proposed by the United Nations? It is indeed time for a new approach in dealing with the Arabic and Islamic world in trying to resolve the 130 years old Arab - Jewish conflict. Might I suggest negotiations between Israel, Egypt and Jordan to allocate sovereignty in the West Bank, Gaza and East Jerusalem - to be held under the chairmanship of the Secretary General of the United Nations with the approval of the Quartet, the Arab League and the Organization for Islamic Co- Operation. Writers of the world - are you prepared to sign up to such an initiative? With your active support this proposal could become a best seller in a very short space of time. It is not fiction. It is based on history, geography, demography and international law - unlike the fairy tales that form the basis for the “two-state” solution. If you hesitate to get involved - exercise your undoubted writing skills to tell me why.